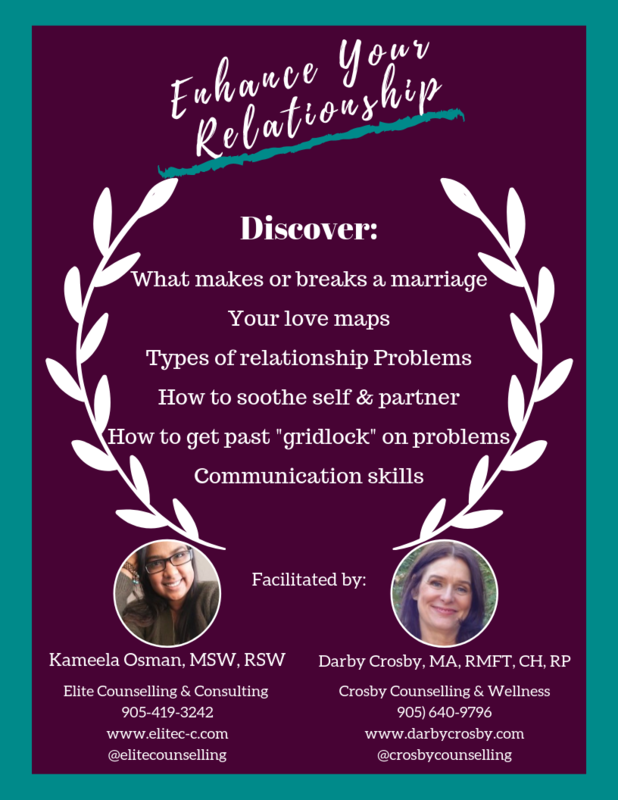 Reconnect, reinvigorate and reboot your relationship. 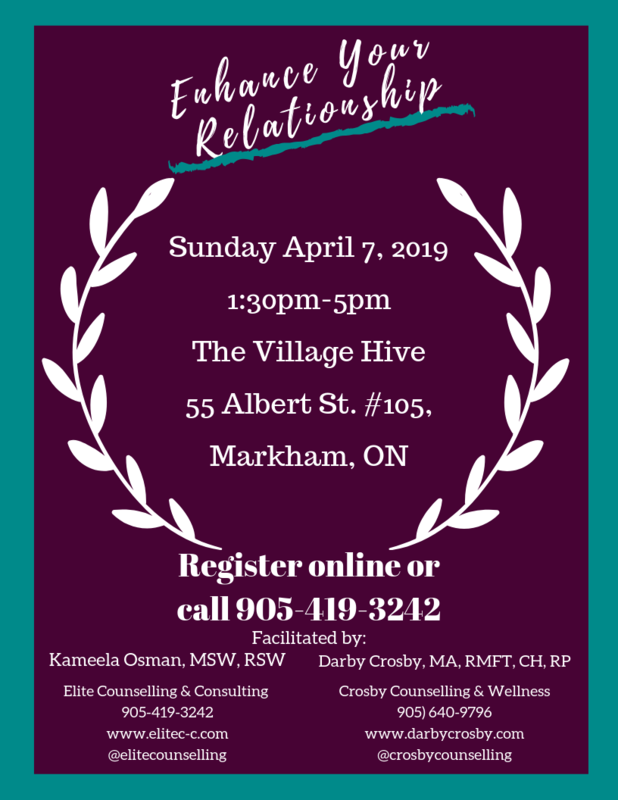 The Enhance your Relationship workshop is based on adapted content of Dr. John Gottman's The Seven Principles for Making Marriage Work Workshop. We are bringing the highlights of that workshop, in addition to our joint decades of work in the field of psychotherapy, to help you! The workshop doesn't require participants to share personal struggles with the larger group, it rather allows for participants to gain the tools and then decide how they will apply it to their relationship. We'll specifically be looking at reconnection, fostering admiration, conflict resolution and how to get past having the same arguments again and again.